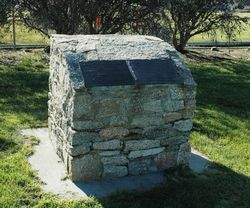 A plaque commemorates the 50th anniversary of the opening of the Flinders Island Airport. 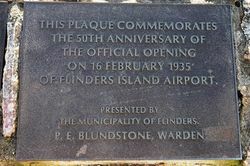 This plaque commemorates the 50th Anniversary of the official opening on 16 February 1935 of Flinders Island Airport. Presented by the Municipality of Flinders.